These three adjectives define Dr. James K. Martin. For almost 30 years, Dr. Martin has created amazing smiles with the finest materials and the most advanced procedures in cosmetic dentistry and laser dentistry. 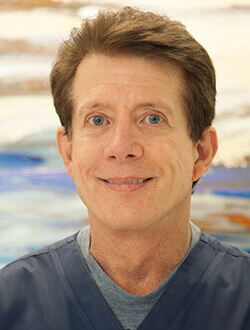 Dr. Martin has pioneered techniques for bonding and porcelain veneers, served as a clinical instructor at cosmetic dentistry and laser dentistry seminars, and evaluated new materials for major dental manufacturers. He graduated with the highest honors from the UT Dental Branch in Houston with his DDS and received advanced specialty training before beginning his Dallas private practice in 1979. Dr. Martin has been a guest expert for all local network news channels, the Dallas Morning News, D-Magazine, and local talk-radio. For four years in a row, Dr. Martin has been named a "Texas Super Dentist" by his peers in an extensive process conducted by Key Professional Media and published in Texas Monthly Magazine. Considered among the best in their profession, Texas Super Dentists represent the top five percent of practicing dentists in the state. In a recent Dallas Morning News poll, Dr. Martin was voted one of the "Best Dentists in Dallas."